Holden Car Removals Adelaide pays top dollars for your unwanted cars. 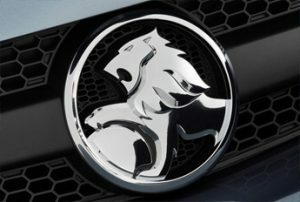 We love the brand and will make offers on all models, years and conditions of Holden cars. Get Cash for used Holden Cars in Adelaide today. Who doesn’t love to be behind the wheel of the Australian automobile importer, Holden? The cars are reliable and stylish, and they are a favourite brand among Aussies. Like Holden car owners, Car Removal Adelaide loves the brand, and we are ready to buy your Holden car today. Get top cash for Holden cars with us. Contact us for a FREE car valuation. There are many stylish models of Holden vehicles the Adventra, Astra, Cascada, Colorado, GTS or Caprice; there’s a model that fits nearly every driver’s style and needs. With Car Removal Adelaide, whatever the model, whatever the year, whatever the condition, we will buy your ride. On the market or off, in used to scrap condition, we buy Holden cars for cash. Get top cash with us. Selling a car is enough of a hassle in itself. Dealing with the potential buyers, negotiating over prices, it’s a headache. With us, we create no hassles in selling cars. So, you can sit back and quickly sell your car over the phone or online and schedule a removal at a time that is convenient for you. When we buy cars and trucks, you schedule your removal at a time that suits your schedule, not the other way around. Let us know when you can fit us in and we’ll come over to make the payment and drive away/tow away the car. Why Choose Car Removal Adelaide? Holden Car Removals Adelaide likes to think there’s no other “Car Removal Company” but us; but, there are plenty of competitors. However, we are the ones that guarantee a car selling experience that is first rate, and one that puts instant cash in the hands of sellers for their vehicles. We’ve taken the car selling process and made it so easy and effortless for the sellers that they can get their car evaluated, receive a cash quote, accept the offer and receive the payment, as well as have the car removed, all from the comfort of their home. You don’t have to come to us, because we come to you! Get top dollars for your old, used, unwanted, wrecked, scrap or junk Holden car today with us! Get a free car valuation over the phone or online. Give us a call at the number below or complete our “Get a Quote” form at the top right of this page. We are ready to make you our best possible offer for your car or truck. Contact us for a quote by calling us at 0477 413 136.